George Jackson and his crew are busy remaking downtown Detroit. The impressive news is that their efforts have caught the attention of several national media outlets and commentators. Here is Ziggy's take on Mr. Jackson's job performance over the past 7 years. We are so lucky to have them on the job. My first draft of The Roswell Chronicles is done. 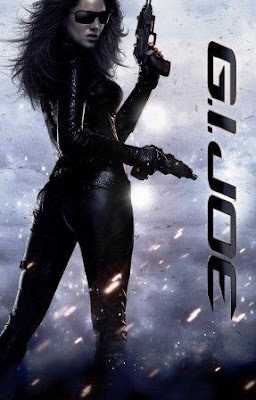 This, of course, is my sci-fi project about a woman who is sworn to protect a family secret against both a greedy corporation and some seriously pissed off aliens. I will let the first draft digest for a few days. Now comes the really fun part of the process - my second and third drafts. The fact that Donald Trump owns the Miss Universe pageant has never been more obvious than it was this past week. No one else - for better or worse - would have scheduled Heidi Pratt to do such a provocative pseudo-strip tease during the middle of this pageant. This is definitely one way to boost the show's ratings. I'm almost done with my latest screenplay. It's a science fiction piece entitled, The Roswell Chronicles. One of the unique things about creating these characters is that they almost take on a life of their own in my imagination. Sometimes they even say some of the most interesting things. Here's an example from Act III, its an exchange between two cousins - Jacob and Mark Haut. She’s sitting on the roof. Don’t ask me. I live my life by two simple rules: never challenge an Irishman to a drinking contest and never try to understand what a woman is thinking.I feel like, if someone had mentioned this to me a few years ago, my life would've been a lot simpler. I found this photo on-line. 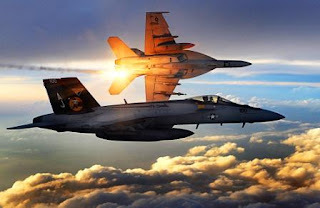 It's a pair of F/A-18 Super Hornets in flight over Afghanistan last December. Those aircraft look so darn cool. The burst of sunlight makes it even more impressive, in my opinion. Various members of Congress have had one town hall meeting after another regarding the proposals to reform health care in America. All of them have attracted outspoken opponents and a lot of screaming. Personally, I believe that this video should be played before every one of these town halls. I surprised that The Daily Showcame up with this one first and the White House or any of the Democrats. Sienna Miller recently revealed that she spent this past St. Valentine's Day in bed with her G.I. Joe co-star Rachel Nichols. And on Valentine's Day? For some reason, that date adds a whole new dimension to my admittedly depraved fantasies. Sienna Miller and Rachel Nichols in bed together. Oh, and if that wasn't enough, I also found a few photos of them holding hands as they walked through the streets of Prague earlier this year. I'm going to go out on a limb here and say that - no matter what happened between Sienna Miller and Rachel Nichols while they were in bed - it probably isn't as warped and twisted as the images that keep running around in my head. Yes, I am a pervert. I have come to accept this fact. I just discovered that if one searches for Jeri Ryan on Google Blog Search, my post from last Thursday (More 7 of 9 over on my blog for the Warrendale neighborhood) comes in as the number one item out of the 45,782 blog posts that it finds. Number 1 out of 45,782. As a kid growing up in the 1970s, I had one of the original G.I. Joe action figures. When I found out that they were bringing G.I. Joe to the big screen, I knew that I had to go see it. This weekend, I did just that. Overall, I liked G.I. Joe: The Rise of Cobra a lot. The writers made a few changes in the G.I. Joe storyline. Most of the changes, I totally understood and had no problem accepting. For example, in the comic books, several of the original characters were described as being Vietnam veterans. That worked 27 years ago when the comic books first came out. However, it would make these characters too old to be front line troops in a contemporary story. Writer/director John Hughesdied today in New York at the age of 59. He was born in Lansing, Michigan and had 39 writing credits to his name as well as several directing and producing credits. John Hughes was behind some of my favorite movies from the 1980s. Mr. Mom (1983);16 Candles (1984);The Breakfast Club (1985);Weird Science (1985);Pretty in Pink (1986);Ferris Bueller's Day Off (1986);Uncle Buck (1989).John Hughes reportedly suffered a heart attack while taking a morning walk in Manhattan. He will be deeply missed by film lovers everywhere. I was searching the internet for something completely different when I stumbled upon this. 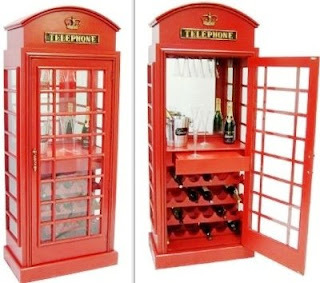 It's a 24 bottle wine cabinet that is designed to look like an English telephone box. It even features a pull out drawer, storage for glasses and a back mirror. This was posted on NerdApproved.com two years ago, but it appears that it's no longer made. I suppose I'll just have to brush up on woodworking skills - which I should do anyway since I'm the son of a carpenter - and build my own version of this. I found this video from Bluefish TV on-line and I love it. I recommend that everyone take a moment to watch it. It has taken a few months, but the internet has finally yielded a photo of Sarah Michelle Gellar, complete with her growing baby bump. I have to say it: Sarah Michelle Gellar looks really good pregnant. Oh, and I love the hat. It completes her outfit.